Giving people the best ceiling leak water removal service requires countless hours of experience in the field to be able to handle anything that springs up, and this is why Yoav Gueron and the water damage McMinnville team with 911 Restoration Portland are highly trained, IICRC certified, licensed, bonded and insured for all types of work. Taking care of homes in these situations means being there rapidly to start the mitigation process and that is one of the reasons why Yoav and his crew will be at the scene of a water damage event within 45 minutes to get started immediately. “We are also available 24/7/365 so that any type of water related concern can be addressed as fast as possible, and no one has to feel like they are waiting to have their home saved from catastrophe,” Yoav states. Beyond his ability to be at the source of the challenge fast, Yoav and his water damage McMinnville team will also bring along all of the latest drying equipment and advanced suction technology too. “This gives us the ability to provide homeowners with the best, latest and greatest tools to save their home,” Yoav explains. If your home is experiencing a ceiling leak, water heater failure, or even a local area flooding situation, then don’t wait until it causes mold growth in your home. Contact Yoav and the water damage team out of McMinnville with 911 Restoration Portland today! Yoav and the McMinnville team with 911 Restoration Portland know all there is to about the water damage world, and the challenges that it has to present when they get on the job, but they are also extraordinary specialists when it comes to preventing such situations too. “We get called regularly by people who are simply trying to figure out how to make sure this situation doesn’t happen to them when they are least prepared and that is why we have developed a list of things that people can do to avoid water damage all together,” Yoav explains. Never let the debris and detritus in your gutters get too thick. It should be cleaned and cleared out at least once a year to prevent overflows which can ruin a roof and introduce ceiling leaks inside the home. Always check your fittings and connectors on the water-based appliances in your kitchen and laundry room to spot any tiny nicks and cuts before they become full blown ruptures that cause massive water damage. Let a professional plumber or restoration expert come and inspect your entire system with a scoping snake tool to find any little things that may become big things that cost more to repair down the road. Make sure to point the discharge from your downspouts away from the home and the foundation by at least five feet to avoid liquefaction. “This is just a few of the ways that we can help people to prevent water damage in their homes, and if anyone has any questions about their particular situation, they should give us a call for help immediately,” Yoav says. If your home is amid a ceiling leak, pipe burst, or water heater failure, then don’t let it linger and end up growing mold. Call our water damage experts with 911 Restoration Portland today and let them solve everything for you immediately! Yoav and the water damage crew out of McMinnville have seen and solved all the challenges that the world of water damage presents and this has given them the experiences needed to hone and refine their tradecraft to a point of perfection. After extracting all of the water, Yoav and his water damage team even did a free visual mold inspection to see if the water had started and spore growth and fungus infestation. 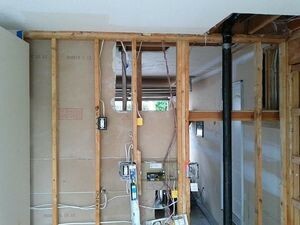 “Fortunately for the homeowner, there was no mold growth yet, and so we proceeded to dry the area out to keep that a reality for them,” Yoav explains. When Yoav and his crew were done removing and extracting the category two water from the area, they even took the extra time to help the homeowner out with all of the insurance paperwork too. If your home or business is experiencing a ceiling leak, toilet overflow, or a faulty drainpipe situation, then don’t wait for it to develop a fungus growth. 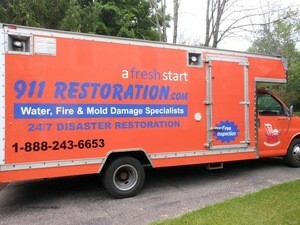 Call Yoav and the water damage McMinnville Crew with 911 Restoration Portland today!